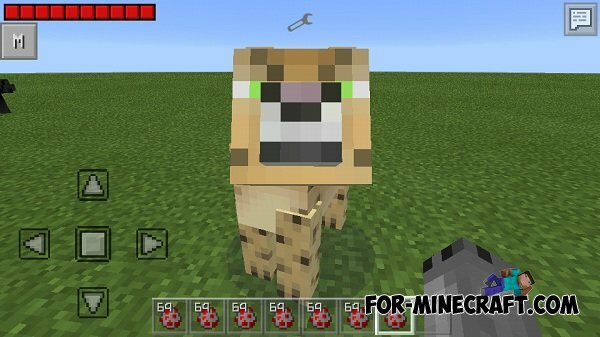 Big Cats Mod - modification for Minecraft PE, which adds several kinds of wild cats. 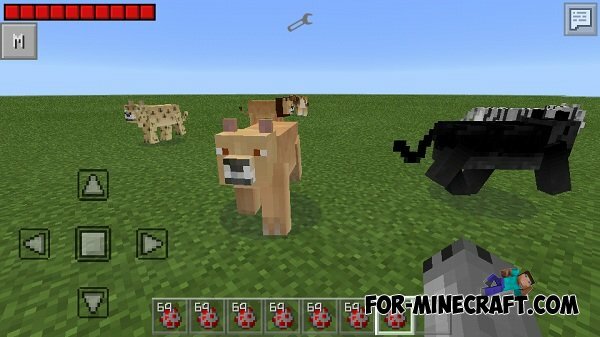 The mod adds a total of 6 cats from the class of big cats: black panther, leopard, tiger, white tiger, lion (male and female), each of which has its own styles roar! 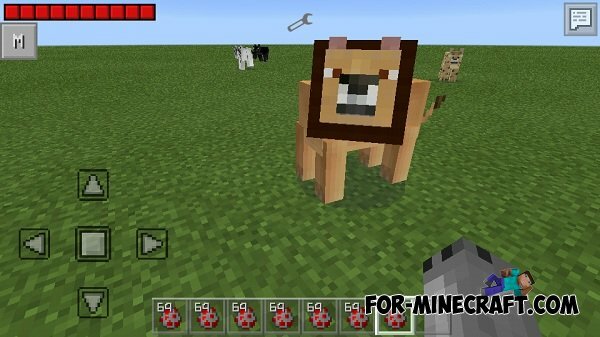 To spawn cats need to change the difficulty to maximum! When you attack cats, they will make sounds.